Minneapolis has scored once again with the addition of a brand new gluten-free bakery that just opened last week! 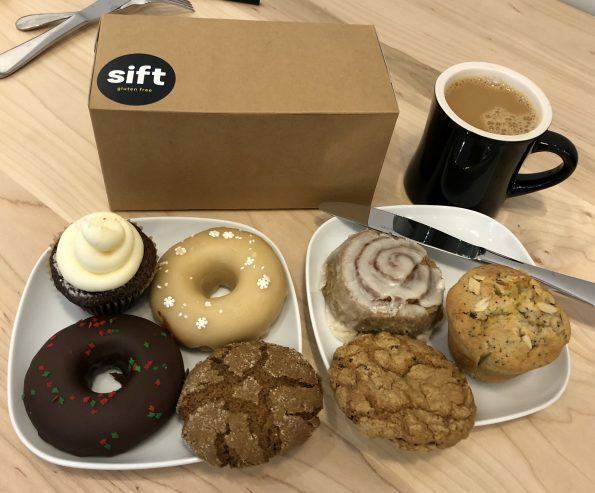 Sift – A Gluten-Free Bakery is located at 46th and Bloomington right in South Minne! 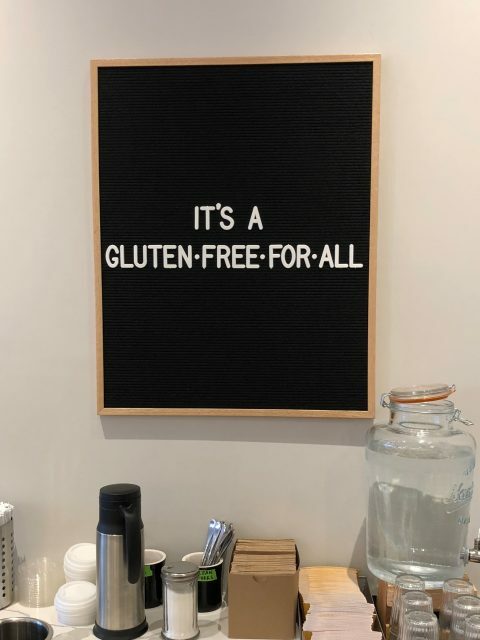 I have had their donuts and pastries in the past at a local Farmer’s Market, and I knew this was coming to the neighborhood, but I can’t really describe the feeling of walking into a 100% gluten-free facility and having free reign of anything in there! Maybe I can. Heaven. There is one thing that I sometimes really do miss now that I am gluten-free…one of those yummy gas station/Krispy Kreme type glazed donuts. You know, the ones that are super squishy and chewy with the crunchy sugary glaze? You won’t find that type of donut here but they do have delicious cake donuts that totally fix my craving! They have so many varieties of baked goods that everyone will find something they like. A lot of their items are even dairy-free, soy-free or vegan! The space is bright and welcoming and you can see right into the beauty that is their gluten-free kitchen. I was there during the week but I could imagine that it could get busy on the weekends. What did I order you ask? Ready for it? A double chocolate donut, maple vanilla donut, cinnamon roll, lemon poppyseed muffin, peppermint chocolate cupcake, ginger orange cookie, chocolate chip cookie, and a 4-pack of frozen cinnamon rolls to take home for Christmas morning. Everything was really good! All of my goodies from Sift! And I ordered a delicious cardamom fig latte and it was SO. GOOD. 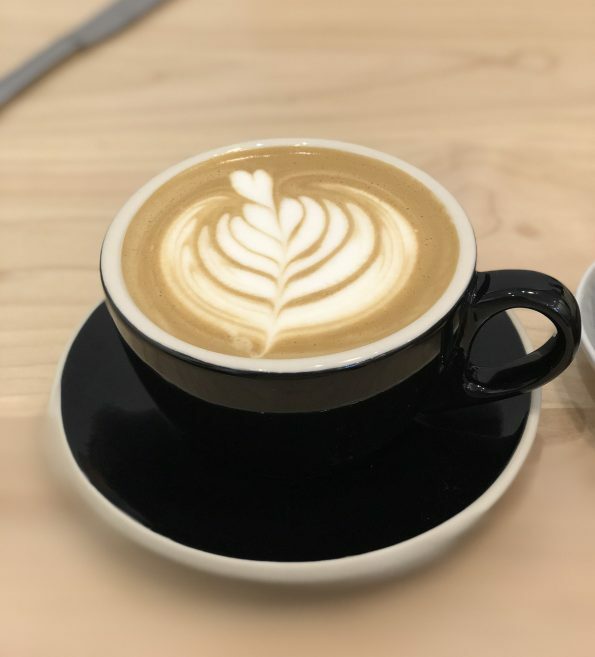 Beautiful and delicious cardamom fig latte from Sift! All of their individual items are between $2 and $4 and their frozen goods were $12 for a pack of 4. But let’s be honest. We don’t care how much we have to spend when we find a 100% gluten-free bakery! I would whole-heartedly recommend visiting Sift! I know I’ll be back!